A meaty white fish with a surprisingly delicate flavour, pollock often finds itself playing second fiddle to cod or haddock. Nigel Mendham allows this underrated fish to shine in his striking seafood recipe, though, cooking the fish in a water bath to ensure perfectly tender flesh. 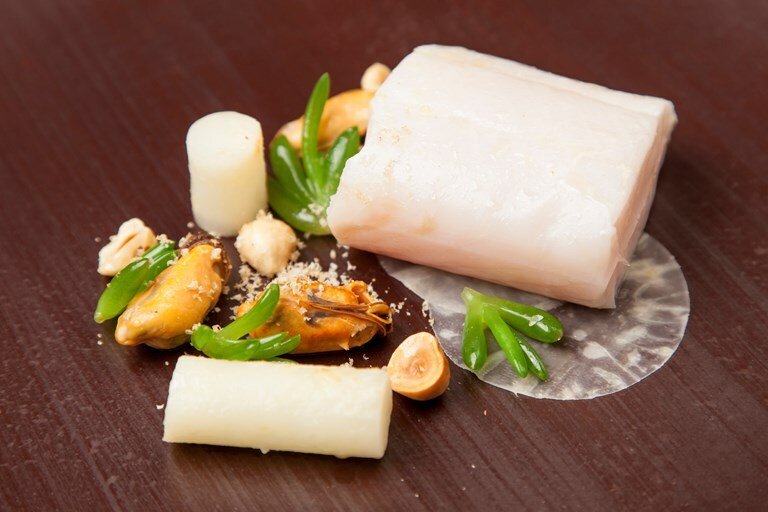 The pollock is paired with the salty flavours of mussels and sea vegetables which contrast beautifully against the earthy celeriac and crunchy hazelnuts.